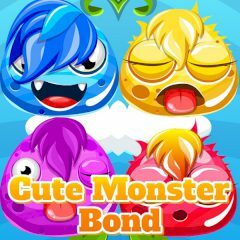 Connect similar monsters with each other and get points. Acquire certain amount of points to complete the level. These cute monsters sound amazing and they want to have friends. You need to connect them with each other with a line. Match and complete the level.